A small kooky gallery but worth a visit to see a collection of oil paintings, mostly on rural themes, celebrating native traditions but eschewing established techniques. 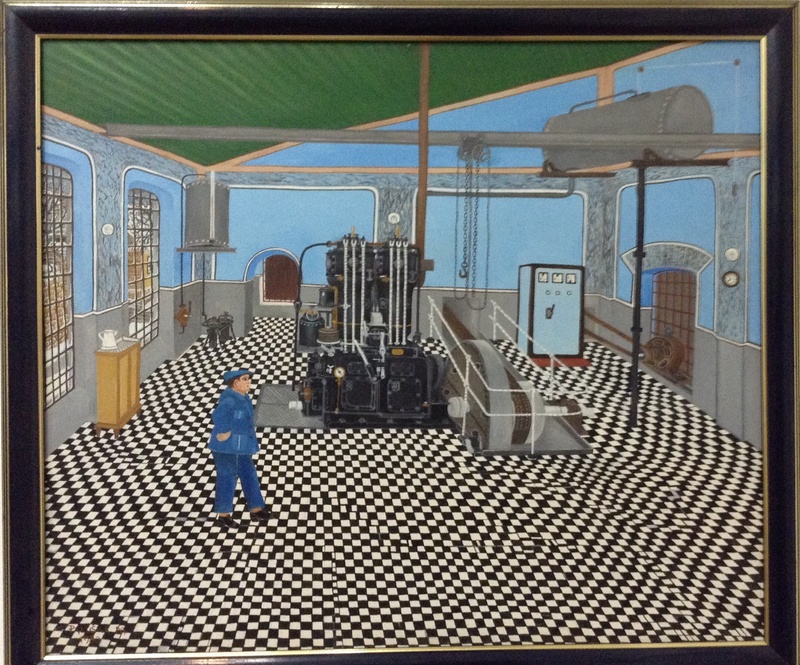 The factory interior shown here is the exception to the rule. You need to think peasants, carts, farms and fields, full on colour and flat perspective. Naive art was pushed forward as an important national indigenous tradition from the late 1940s. 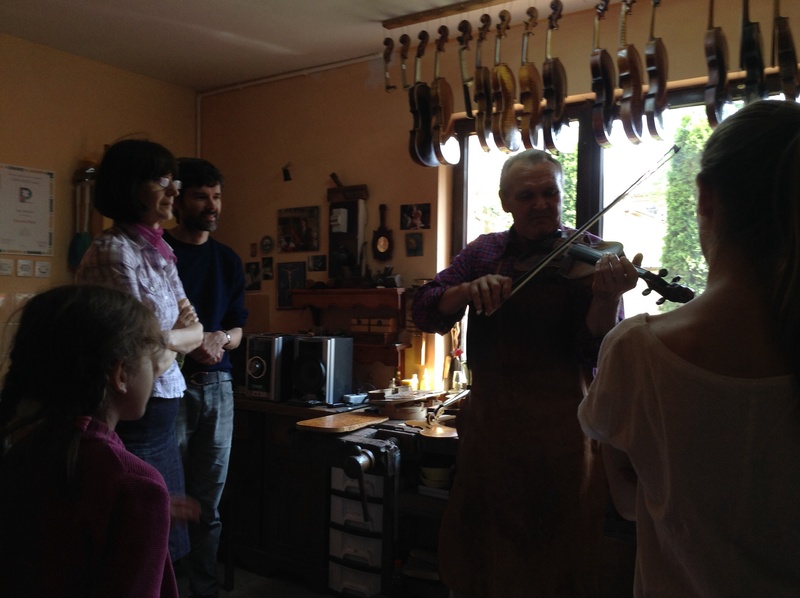 A short walk from the museum is the atelier of a violin maker Jan Nemček – who exports his instruments to the whole wide world. 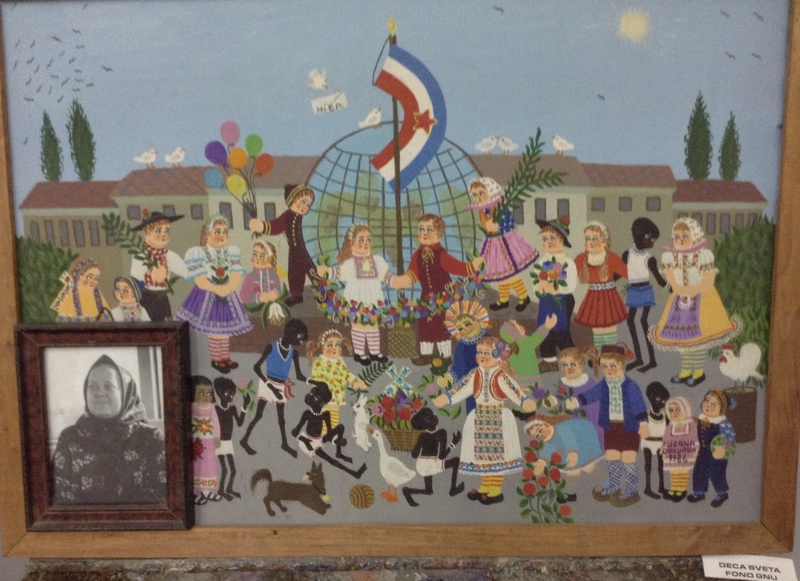 We went to the Museum of the Naive art in 2010 on a day tour from Belgrade. The Museum itself is very small but very rich in the numbers of paintings they own so the exhibition keeps changing all the time. I loved a huge, colourful and lively painting by Jan Glozik illustrating the 200 years since the Slovak people moved from what was then the Austro-Hungarian Empire to the eastern border, nowadays Serbia, by order of the Emperor.